I suspect these high temperatures tricked my toad out of his torpor. I am sure my snooping around weeding and cleaning also disrupted his winter rest. He spent all day yesterday perched on this rock at the top of the wall. I checked on him many times yesterday. He was unresponsive. I did not touch him for fear he might plunge to his death, if disturbed. He was still precariously perched last night when I went to bed. This morning, I was pleased to find him in a less exposed location. 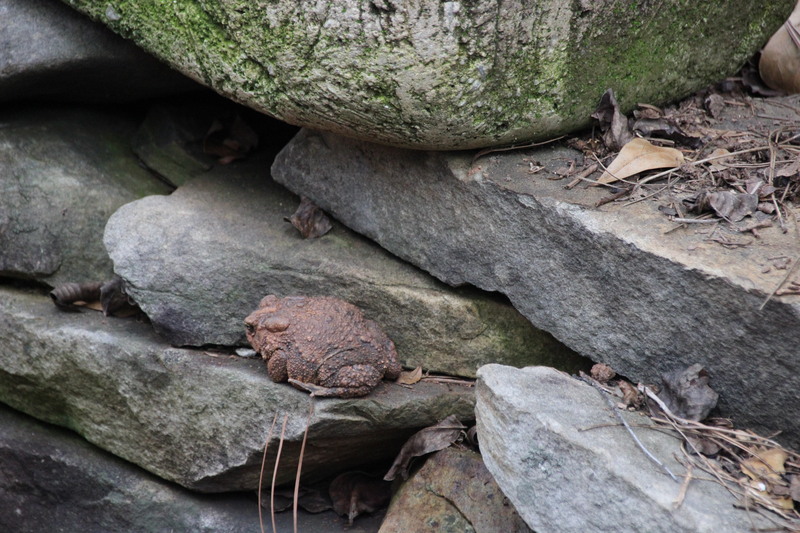 He has moved to a space between stones, not far from the hole he emerged from. He still won’t look at me, maybe he blames me for early emergence. 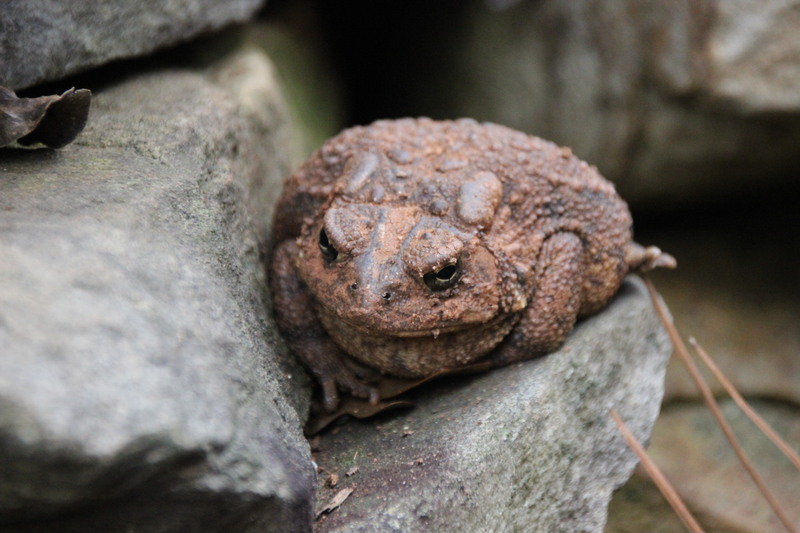 Typical toad attitude. Great story. I trust he will survive. Parp! Parp! Yes. 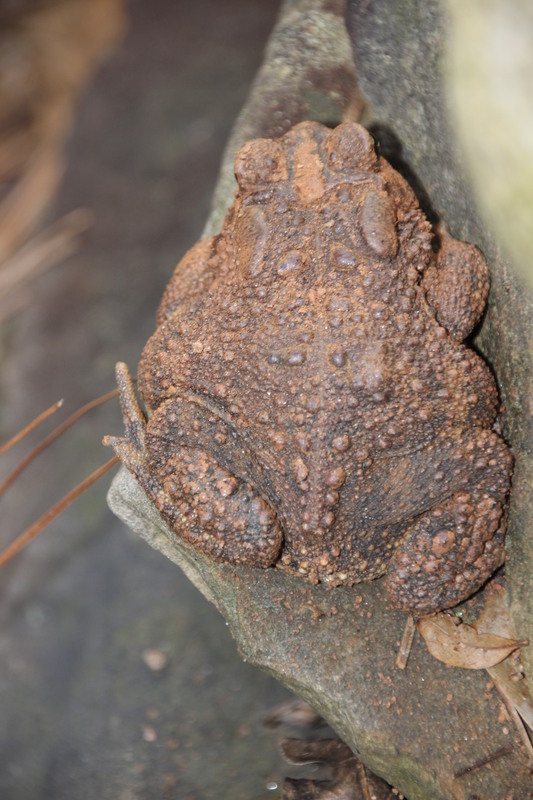 He is a tough old toad. A very fine specimen, though he does look a bit dopey. I sometimes come upon a junior version in my allotment polytunnel. We usually frighten each other, and s(he)’s off before I can express thanks for toadly presence and keeping the slugs down. 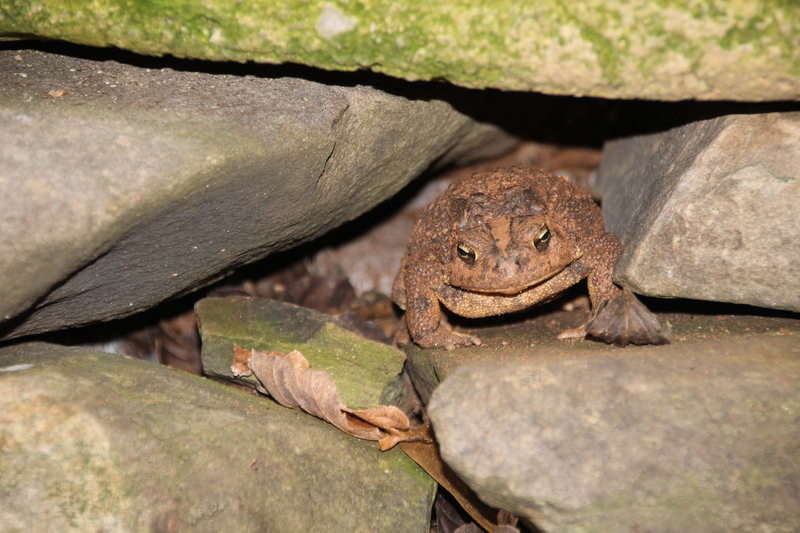 This toad is a resident in that garden bed. I posted on him last year with the title”Sometimes I Feel Like Somebody’s Watching Me” . My garden has eyes/spies. I am never alone. It’s really nice to have little friends everywhere. Thanks for reading and commenting Tish. Your Masai story was great. Many thanks for reading my Maasai post. Much appreciated. He is wonderful! He really does remind me of someone I used to know! Though this one talks less! 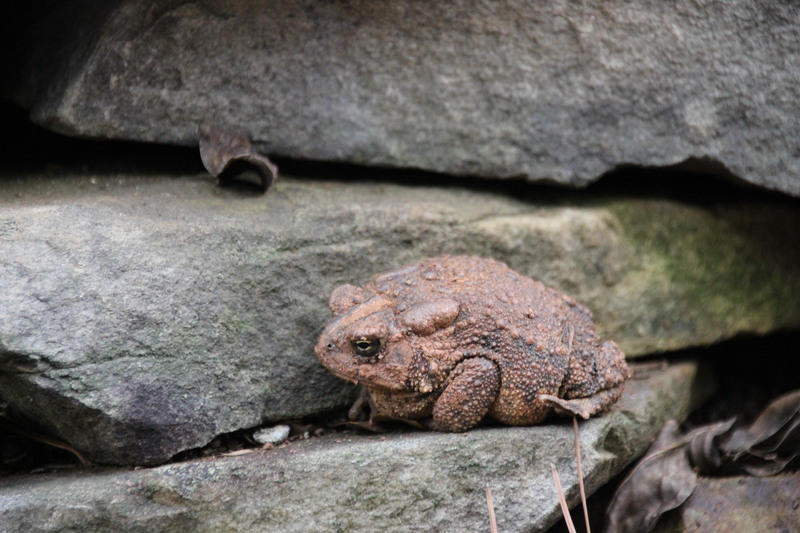 Your toad looks really big. The ones I pulled from the bricks were like that too. They had no reaction to the move. He has moved some today. It is 76 degrees here in NC. We were 80 yesterday and a cold front came through, so it’s the 40’s tonight. Wow. What a shock. Where are you? Still has the winter sleepies, no doubt. I thought maybe that was short for tadpole.